For the first time a model railway dealer from outside the UK has been appointed Bachmann Retailer of the Year. The 2013 award was presented to Marks Models from the Republic of Ireland at the Warley National Model Railway Exhibition over the weekend of 22nd-23rd November. 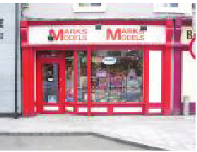 Founded in 1987, Marks Models now has three stores, operating in Dublin, Greenogue and Cork. 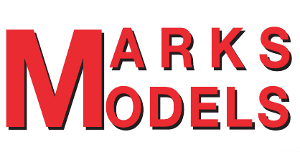 Marks are specialist model stores serving all aspects of the hobby including die-cast, plastic kits, radio control and model railways. They attend the major British model railway exhibitions in London, Glasgow and Warley each year. At other times they will be found in their home country and the UK attending agricultural shows, vehicle rallies, plastic kit conventions and local model railway exhibitions. Mark Cuffe, Managing Director of Marks Models said "We are delighted and privileged to have been presented with this prestigious award as recognition for the massive growth we have seen in Bachmann products over the past few years including the range of Scenecraft Irish structures which has enabled us to cater for the developing world-wide interest in Irish railways as well as those of the UK". David Haarhaus, Bachmann's European Sales & Marketing Manager, said "We are very pleased to present Marks Models with this award. The store has been steadily growing its representation of our products over a great many years, and we have only ever received positive comments from our collectors who shop there. Mark supports our brands across the board in his stores and at exhibitions. I wish him all the best with his future plans and look forward to working with him for many years to come". If you are in the vicinity of one of the Marks Models shops, pay a visit; a warm welcome is guaranteed for all.